My 2 muppets celebrate their birthdays this week (3 days apart), and this year we are having a joint birthday party. They are only 2 and 4, so we are doing the joint party while we can get away with it…….I don’t think we have too many years left. I have already done this recipe on our FB page, but wanted to give it another try and see if the kids would like to have them at the party. 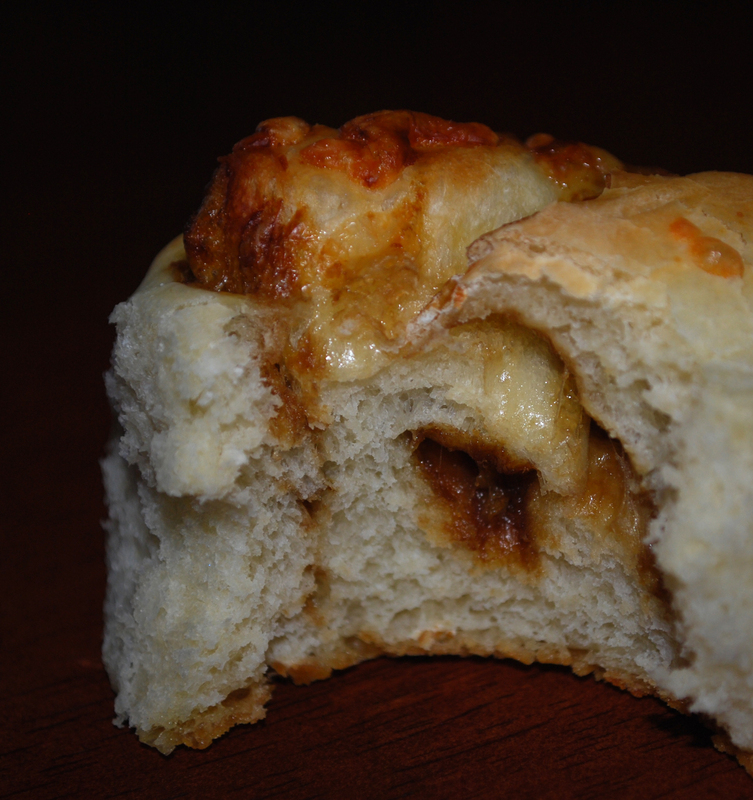 We are a big fan of the CheesyMite Scrolls at the bakery, so making a TMX version was always on the cards. 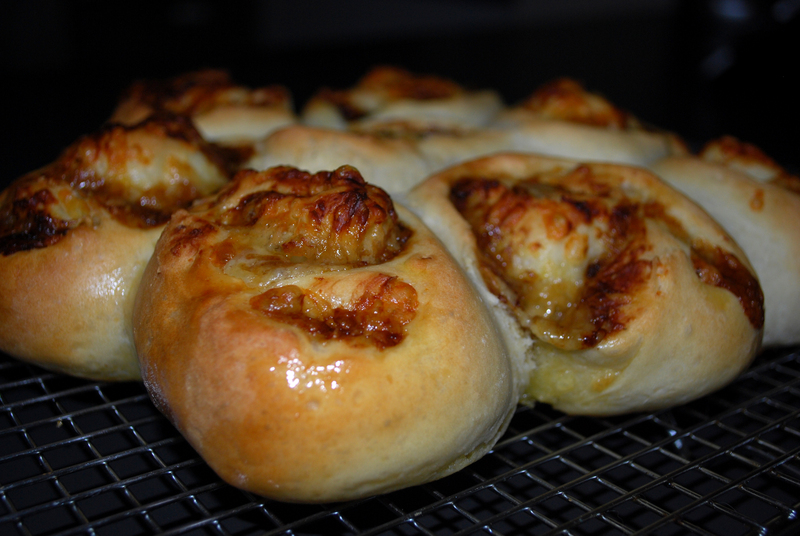 The great thing about this recipe is that you can use the dough to make any kind of scroll you like: Cheese, Olive, antipasto, apple and cinnimon…..the list is endless. Add the flour, yeast, sugar and salt. Mix for 5 seconds on speed 3 .Add the water and oil and mix for 6 seconds on speed 8 to combine. Using the closed lid position and knead for 2 minutes. 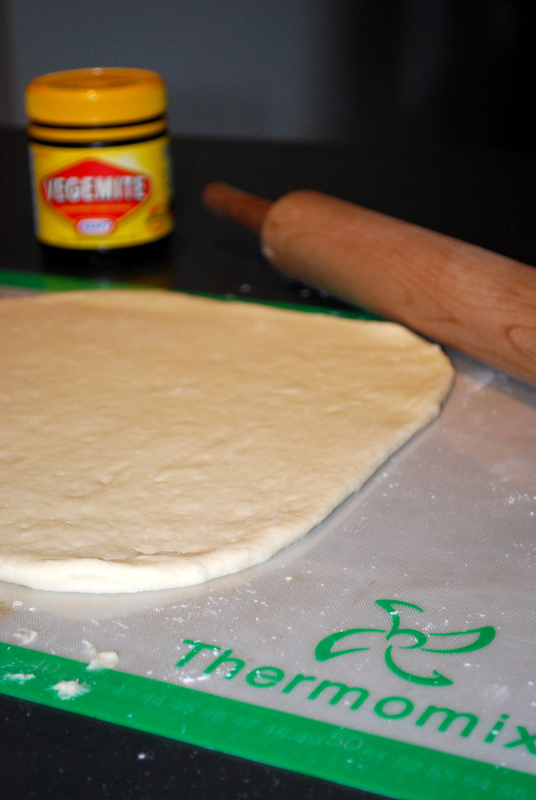 Remove dough and place on a mat . Leave to prove for 30 mins. Roll out dough to approximately 40cm x 30cm. Once the topping is on, I used the TMX spatula to make thin strips and then rolled the individuals up. Place them on a tray, close together but not touching, and then I let them reast again for 15 minutes and then popped them in the oven . I used my Thermomix bread mat to prove the dough and also used it in the oven too. Bake for 15-20 minutes at 200 degrees C.